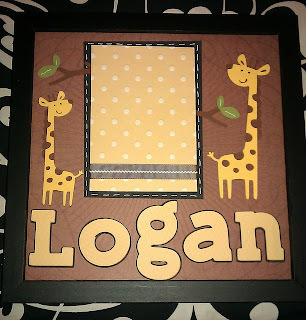 Brown background paper is from DCWV "The Glitter Sweet Stack" as well as the name LOGAN. I cut 4 1/2 x 6 1/2 black cardstock from Recollections and 4 1/4 x 6 1/4 yellow polka-dots cardstock from DCWV "Nana's Kids Stack" I used the "Create a Critter" Cricut cartridge to cut the giraffes & branches. I used the "Birthday Bash" Cricut Cartridge to cut out the name Logan. I also added a decorative ribbon where the 4x6 baby picture will go, but I can't remember the brand. 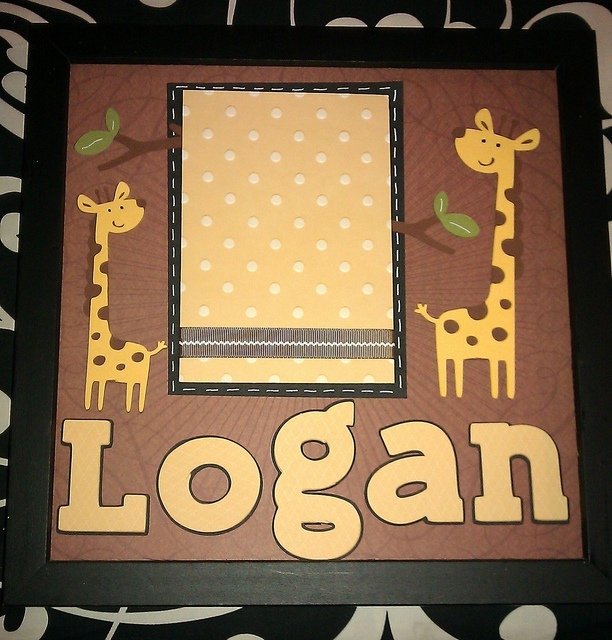 Hope you like this simple and cute baby frame. What a great layout! I like the large name at the bottom and the cute giraffes. Thanks for joining our FCCB "Oh Baby" challenge this week!! Love this! 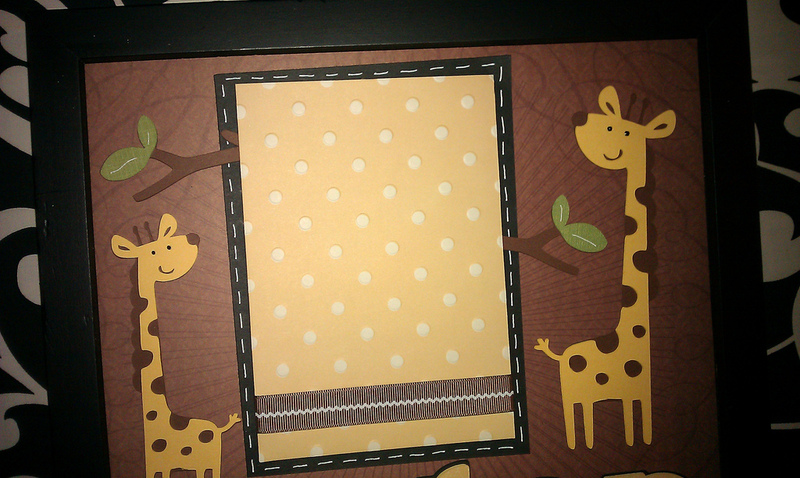 The giraffes are so cute and I really like the stitching and ribbon around the picture. Thanks for joining us at FCCB this week! !